Lea and Lara talk about character strengths in the brief videos below. Our videos will help you start your journey to becoming a strength-based family. The VIA Classification of Strengths Survey is available in an adult and a youth version. Adults take the VIA Survey of Character Strengths. Children 10-17 years old take the VIA Strengths Survey for Children. ﻿Click here to visit the VIA Institute on Character website to find out more. Visitors to the site need to register with the site prior to taking the test. Surveys are free. The virtue of wisdom contains a group of strengths that are about the acquisition and application of knowledge. 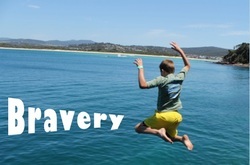 This category contains the strengths of creativity, curiosity, open-mindedness, love of learning and perspective. Thinking of novel ways of doing things is the first step in creativity. This is known as divergent thinking. The next step is to transform these ideas into new and productive ways to do things. 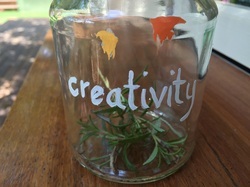 When we do this we are using our strength of creativity. We use this strength in many areas of our lives, in our work, studies, on the sports field as well as when we engage in the arts. When we direct our attention in ongoing experience for its own sake we are using our strength of curiosity. This can be evident when we find subjects fascinating and ask a lot of questions about them. 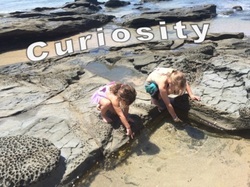 Those high in curiosity like exploration and discovery. We use this strength when we think things through carefully and examine them from all sides. 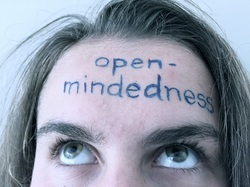 We do not jump to conclusions when we are being open-minded, but rather rely on solid evidence to make decisions. When using this strength we are able to change our mind and do not get fixated on our original viewpoint. 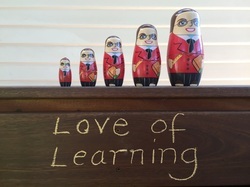 When we love learning new things this strength is in play, whether it is by ourselves, in teams on with a larger group. Those high in this strength love school, reading and museums. They see opportunities to learn everywhere and enjoy mastering new skills, delving into topics and bodies of knowledge. When we provide wise council to others we are using the strength of wisdom. People high in this strength often don't think of themselves as wise. 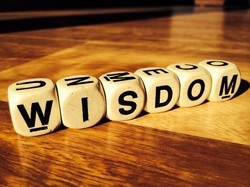 If wisdom is one of our top strengths then our friends value our perspective on matters and turn to us for advice. Wisdom helps us to have a way of looking at the world that makes sense to others and to ourselves. It is said that this strength is required to know when it is appropriate to draw on our other strengths. The virtue of courage contains a group of emotional strengths that involve us using will to achieve our goals in the face of adversity or tough times. The adversity can sometimes come from within and at other times be an external force. The courage virtue contains the strengths of bravery, perseverance, honesty and zest. When we are confronted with a threat or challenge our strength of bravery helps us to face our difficulty head on. Our bravery can help us in times of pain, too. We do not only draw on bravery in times of physical challenges. We use this strength when we speak up for what is right, even in the face of opposition. If we have bravery in our top strengths then we are likely to act on our convictions, even if it means making an unpopular decision. Goals are good for our well-being, but without the strength of perseverance we would give up in the face of obstacles. 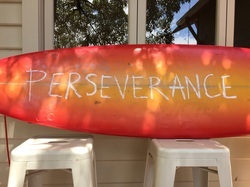 We use perseverance when we finish what we set out to do. If it is one of our top strengths then no matter how challenging our journey we take great pleasure in completing tasks. We use the strength of honesty when we speak the truth and are true to ourselves. When we see honesty in others we describe them as acting in a sincere way, without any form of pretense. 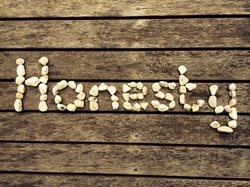 Honesty allows us to take responsibility for our feelings and our actions. 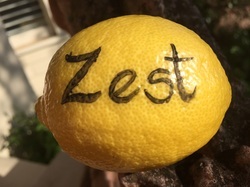 Zest enables us to attack life with excitement and energy. When we use zest we do not do things halfheartedly, we feel alive. 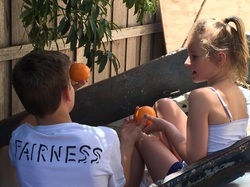 Zest helps us to be active and studies have shown that if we are high in zest we are more likely to participate in physical activity. When we see zest in others it seems as though they live their life as an adventure. The virtue of humanity involves tending and befriending others. It contains the interpersonal strengths of love, kindness and social intelligence. Connection and positive relationships with others are significant measures of well-being. Through love we value close relations with others, especially where our love is reciprocated. Sharing and caring are examples of love in action. 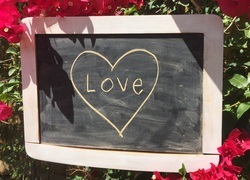 Love helps us to feel close to other people, sometimes this can be in our own circles of friends and families, at other times it might be for whole communities. We use the strength of kindness when we do favors and good deeds for others. Helping and taking care of other people are ways in which we can put kindness into action. We can be kind with our time and help people in need. 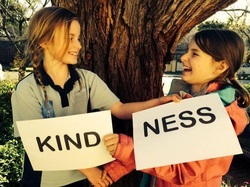 When we observe kindness in others it can boost our own well-being, too. When using the strength of social intelligence we become aware of the motives and feelings of other people and of ourselves. 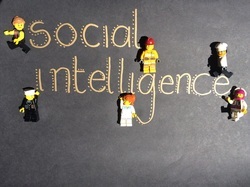 Social intelligence guides us to know what to do in different social situations. If we have social intelligence in our top five strengths then we are usually good at knowing what makes other people tick. The virtue of justice contains civic strengths that underpin healthy communities and societies. The strengths of teamwork, fairness and leadership sit under this virtue. Cooperating and working well as a member of a group is a sign that we are putting the strength of teamwork into action. 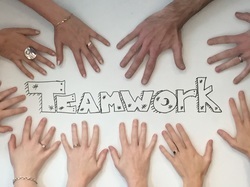 If teamwork is one of our top strengths then others may describe us as loyal, especially to our team. Those high in the strength of teamwork are also known for pulling their weight and doing their share, but not to the extent that they take over. We use fairness when we treat all people by the same values and in a just manner. Fairness requires us putting our personal feelings aside so as not to bias decisions that involve others. We see fairness in others when they give everyone a fair chance. 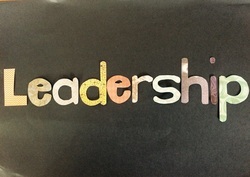 We use the strength of leadership when we encourage others in our group, family or community to work towards completing tasks and achieving common goals. Positive leadership maintains good relationships within the group. We see the strength of leadership in others when they motivate, rather than coerce us into contributing to a joint effort. The virtue of temperance contains strengths that protect us against excesses in life. Temperance contains the strengths of forgiveness, modesty, prudence and self-regulation. 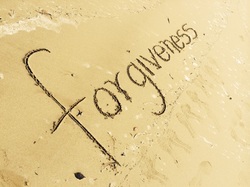 When others do wrong by us we can use the strength of forgiveness. It can involve us accepting the shortcomings of the wrong-doer rather than seeking revenge. We can see the strength of forgiveness in others when they give people a second chance. Others may appear modest to us when they do not present themselves as more special than other people. 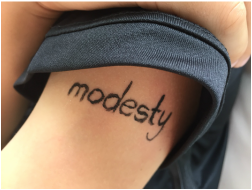 When we use the strength of modesty we allow our accomplishments to speak for themselves rather than reminding others of them. We use the strength of prudence when we are careful about our choices. Prudence guides us into not taking undue risks. It gags us from speaking out and later regretting what we said. It holds us back from doing what we might later come to regret. 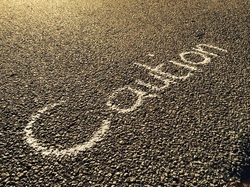 Self-regulation helps us to resist the excesses in life. We use it when we regulate what we feel and what we do. 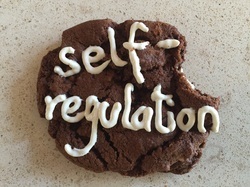 When we observe self-regulation in others we notice that they are disciplined and control their appetites and emotions. The virtue of transcendence includes strengths that link to the wider universe and promote meaning in life. 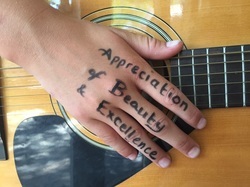 The strengths of appreciation of beauty and excellence, gratitude, hope, humour and spirituality fall under this virtue. When we take time to notice and appreciate beauty, such as a picturesque landscape, a marvelous sculpture or painting we use this strength. Skilled performances, such as those from musicians, actors or dancers can evoke wonder in us. Mathematics, science and nature can induce awe in us associated with appreciation of beauty and excellence. When we experience this strength we feel as though we are in the presence of something greater than ourselves. Gratitude involves being aware of and thankful for the good things that happen in our lives. When we use the strength of gratitude we take time to express our thanks the others. 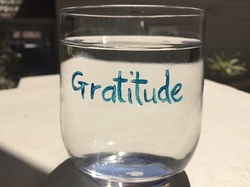 Cultivating gratitude in our lives we can help to boost our well-being. We can do this by writing down the good things that happen to us. We put the strength of hope into action when we expect the best in the future and apply ourselves to achieving our goals. 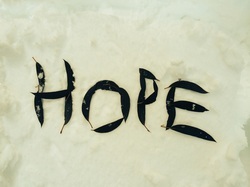 When we use hope we believe that a good future is possible. We see hope in others when they talk about their dreams for the futures and their plans about how to achieve those dreams. When we laugh, tease or joke around we are using the strength of humour. It can do wonders for our well-being when we are the source of a smile on someone else's face. We see humour in others when they see the lighter side of life. 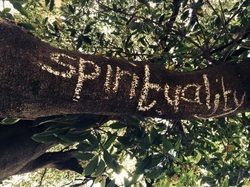 Believing in the higher purpose and meaning of the universe evokes the strength of spirituality. It can involve having a sense of where we fit into the larger scheme of life. Believing in the meaning of life not only shapes the way we behave, it can provide us with comfort and enhance our well-being.